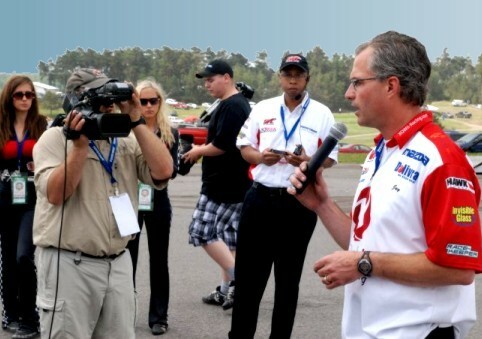 Jay at World Challenge race at Mosport Tech Talk. Making Versus video "The Brakes of World Challenge"
Jay Andrew teaches Brake Tek classes at 20+/- drivers education sessions across the country every year to thousands of students at NASA HPDE, Chin Motorsports, Porsche Club and World Challenge and other events. Below are the hand out worksheet outlines provided during the classes. If you were in one of Jay's classes you can recall the discussions by printing one of these hand out sheets. See our EVENTS page to see where Jay will be teaching his next class and providing trackside brake support. This Chart will help answer a lot of questions about what compound best fits your needs. It indicates friction level and temperature range. 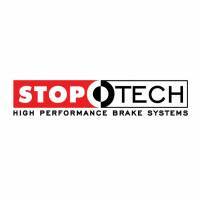 STOPTECH WHITE PAGES This is a GREAT resource for lots of Technical information on brakes. Many written by James Walker, who is our Brake Engineer Hero. Brake Tek 3 is a high performance class. Learn what brake bias means and how to make your car stop better. Learn about how to save money by making your brake components last longer. How to properly bed in pads and knowing the thermal stresses seen by your rotors and what those little spider web cracks are all about. Brake Tek 1 is a safety class. Learn about boiling brake fluid and fading brake pads and how to avoid and solve these common problems.